Birdie isn’t mentally well, but her neighbours are more worried about her hoarding bringing down the house prices than they are about her health. They’ve gone as far as to report her to social services, but even her social worker can’t help her. 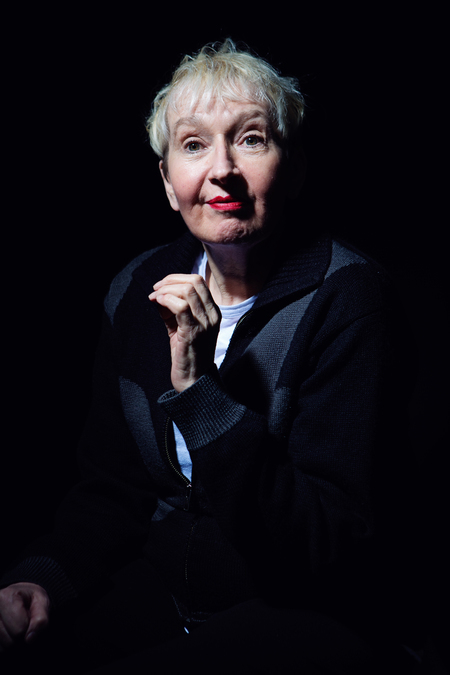 Su Pollard plays Birdie, and all of the other characters she encounters in her daily life. She even plays the ones she doesn’t, as Birdie doesn’t often leave her house. She’d much rather be surrounded by the things she has collected over a lifetime when chatting with those that visit, both in real life and her imagination. Pollard’s multi-role performance is indicated by vocal changes, which are so subtle that it’s not always clear she’s changed characters, or who she’s playing. Philip Meeks’ writing doesn’t always indicate if the various people that grace the stage exist, or are figments of Birdie’s imagination. The staging does little to add clarity. Birdie’s story often changes—she alters the report of her Auntie’s death several times—so she’s not a reliable narrator. This device, and choosing to make the story a solo performance, will mean the audience may not take away what Meeks intends. Designer Alex Marker makes the most of this small venue with piles of boxes teaming with stuff that Birdie has collected. A murky fish tank and a staircase to the rest of the house further constrict the space to show just how terrifying Birdie’s disordered life is. It’s a shame that the script and the performance under-serve this serious issue.